we provide in-house, webinar, and on-site training. We schedule daily webinars open to the public. A recording of the webinar will be available. Seats are limited so please click a link below to sign up! 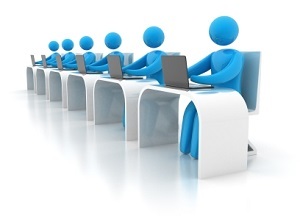 From the comfort of your own home or office, we can provide web-based training through the miracle of GoToMeeting. At a convenient time, you and your officers can login to a common website from up to 15 locations where you can view our screens while we answer your questions and demonstrate the many features of Charms. When you can't do a webinar or come to Addison, we are happy to come to your site for a comprehensive, full day training or in-service. However, this is the most expensive option as we need to charge you for our travel expenses as well as the training. Contact our office with potential dates and we can try to accomodate your schedule. We require a space with a projector and screen, good internet connection, and enough power for your attendees. Our Annual Charms User Conference has become a go to destination each summer. Starting with an opening reception on Sunday evening, we provide two and a half days of sessions in three concurrent tracks on as many Charms topics as we can fit. The Tuesday night banquet/party is the highlight of the conference, with such entertainment as a Murder Mystery Dinner, Casino Night, Elvis, and a beautiful Sunset Sail on Lake Ray Hubbard. Wednesday's sessions are reserved for special topics, End of Year Processing and our inspirational/hilarious keynote speakers, followed by a farewell lunch. Details coming soon! Come spend a few hours with us in our comfortable training center at our office in Addison. We can seat up to 45 comfortably, 55 if we're friendly. We have a gaint LED Monitor and are glad to structure the session to address any and all Charms topics. Our training center is located at 14850 Montfort Drive Suite 160, Dallas TX 75254. Bring a laptop. We usually provide coffee, drinks and snacks. Lunch or dinner can be arranged from nearby restaurants.